The Best Vehicles in Charleston! 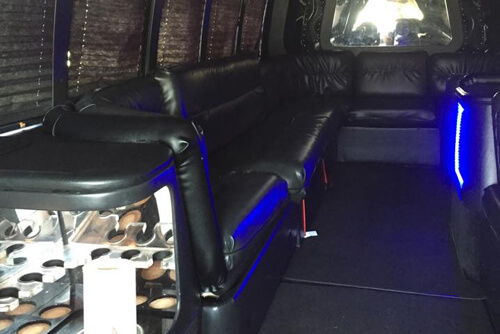 This spacious night club on wheels is everything you'd expect from a luxury bus from Charleston Limo Bus! 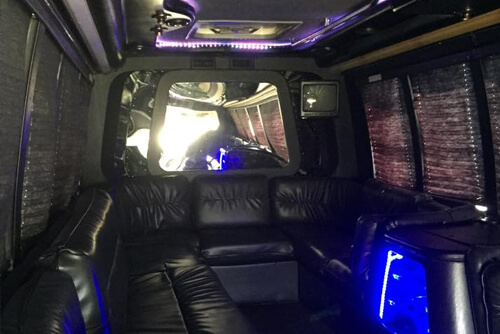 A true VIP limo bus, this sleek black limo bus features two-tone custom leather seats, gorgeous hardwood floors, a chrome-finish dance pole, and amazing color-changing accent lighting throughout the whole bus! The steps, walls, floor, and ceiling are all perfectly accented with colorful lighting. Custom bar areas with ice coolers and glassware are the perfect place to fix your self a drink! The multiple flat screen TVs play DVDs, and the radio has both CD and iPod connectivity. To top it all of, the stereo system in this bus is unbelievable! Loud, crystal-clear sound like you've never heard before! 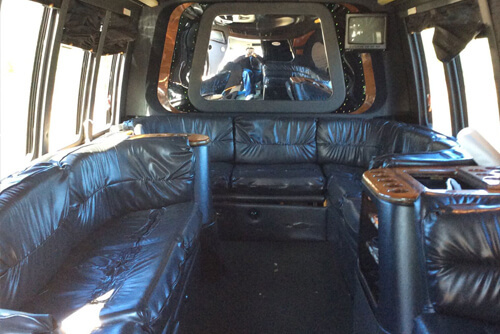 This ultra posh limo bus is perfect for larger groups who want to celebrate in style! 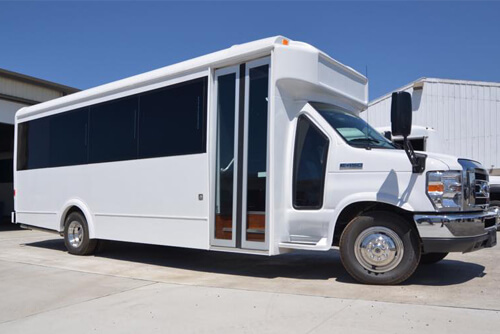 You're sure to turn heads when you arrive at the club in this VIP bus! 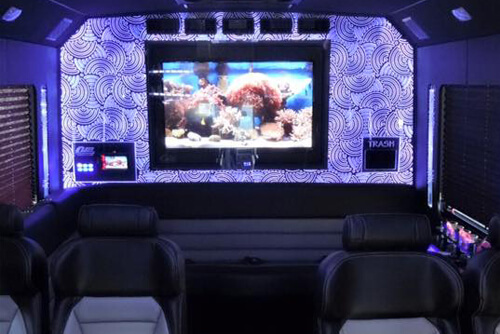 The large screen TV, DVD player, booming audio, colorful lighting, and cooler make this a complete party-ready ride! The CD player and iPod hookup allow you to play your favorite music. 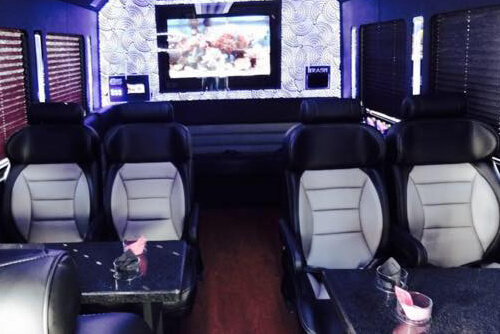 You can drink, dance, watch movies, and have an unforgettable evening out on this amazing bus! The black leather seats are super comfortable and you'll feel like right you're at a swanky lounge as you relax with a cocktail! There's no better way to travel!